The polymer shares common characteristics with other synthetic polymers such as low density (1.4 - 1.5 g/cm3), and ease of moulding when the molecular weight is low enough. It is a semi-crystalline polymer (75-85% crystalline) with a melting point of 175 °C as a homopolymer. A copolymer version has slightly lower melting point of 163 °C. It is a tough material with a very low coefficient of friction. However, it is suceptible to polymer degradation catalysed by acids, which is why both polymer types are stabilised. In the case of the homopolymer, it has chain end groups which resist depolymerization. With the copolymer, the second unit is a cyclic ether which resist chain cleavage. It is also sensitive to oxidation, and an anti-oxidant is normally added to moulding grades of the material. To make polyoxymethylene homopolymer, anhydrous formaldehyde must be generated. The principal method is by reaction of the aqueous formaldehyde with an alcohol to create a hemiformal, dehydration of the hemiformal/water mixture (either by extraction or vacuum distillation) and release of the formaldehyde by heating the hemiformal. The formaldehyde is then polymerized by anionic catalysis and the resulting polymer stabilized by reaction with acetic anhydride. To make polyoxymethylene copolymer, formaldehyde is generally converted to trioxane. This is done by acid catalysis (either sulfuric acid or acidic ion exchange resins) and concurrent removal of the trioxane by distillation or extraction. The trioxane is then dried to remove all water and other active hydrogen containing impurities. The co-monomer is typically dioxolane but ethylene oxide can also be used. Dioxolane is formed by reaction of ethylene glycol with a formaldehyde source (trioxane or concentrated aqueous formaldehyde) over an acid catalyst. Other diols can also be used. Trioxane and Dioxolane are polymerized using an acid catalyst, often boron trifluoride etherate, BF3·OEt2. The polymerization can take place in a non-polar solvent (in which case the polymer forms as a slurry) or in the melt (e.g. an extruder). After polymerization, the acidic catalyst must be deactivated and the polymer stabilized by heat. Stable polymer is melt compounded, adding thermal and oxidative stabilizers and optionally lubricants and miscellaneous fillers. The Food and Drug Administration has approved Delrin for use in the food industry. Delrin was used by Mattel from 1968 to 1972 to produce the low-friction wheel bearings found on redline Hot Wheels. Delrin is made from acetal homopolymer resin, and, when extruded into large basic shapes (i.e., sheets, rods, and tubes), tends to be subject to porosity problems. These porosity problems can make the product less reliable in certain applications. 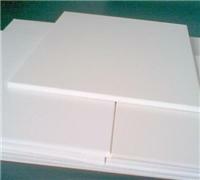 Acetal copolymer (Acetron GP) is often used as a replacement for Delrin (acetal homopolymer) when porosity risk is a factor in material selection. It is also used in yo-yos such as the Silk by Alchemy yoyos, Lyn Fury by YoYoJam, and the Milk by Born Crucial. Delrin's lubricity (when machined on a lathe) leads to a yo-yo with significantly less friction. It is also used extensively in paintball markers, where it is used to make bolts, pump handles and many other parts. Its low cost, adequate strength, light weight, and self-lubricating properties make it ideal for markers. The other material commonly-used for markers, Nylatron, while slightly lighter, is more prone to swelling. A swelled part can make the mechanism impossible to operate and sometimes even damages the marker. Nylon-based products such as Nylatron have better wear-resistance than Delrin, but do not have good moisture-resistance, and are therefore not suitable to high-humidity or underwater applications. Delrin's resistance to liquids and low coefficient of friction have also made it useful as a bearing-replacement in casters and wheels, to be selected in cases where corrosive environments make a traditional roller or ball bearing impractical. Delrin has also recently found use in the manufacturing of Irish flutes (traditionally made of wood), tin whistles (traditionally made of metal), and bagpipes (traditionally made of wood). Delrin flutes sound similar or identical to wooden flutes, but have none of the shrinkage or cracking issues usually associated with wooden instruments in hot, cold, or dry environments. Builders such as Des Seery, Michael Cronnolly of M&E Flutes, Tony Dixon, and Rob Forbes all build Delrin flutes. Delrin has become an increasingly popular material in the fabrication of guitar picks. It has excellent durability; it is much more resistant to wear than nylon at the point of string contact, especially on round-wound strings. Delrin does not crack or break like celluloid or polyvinyl chloride (PVC), provides a solid, slip-free grip, and develops a "memory" over time; that is, it gradually develops a slight curvature that conforms to the user's grip. Delrin is also much treasured by many makers and players of harpsichords, being used for the plectra, which pluck the strings when a key is pressed. Delrin has been found to provide a tonal quality very similar to that of the bird-quill used in the heyday of the instrument, while being far more durable and consistent. Delrin has also been used for many years by a number of cutlery manufacturers to make knife handles, especially for jacknives. Delrin is used to make the combination wheels in most high-security safe locks. Using delrin in the wheels makes the lock resistant to decoding by X-raying because of delrin's low density. However, neutron bombardment techniques may still be used to decode delrin combination wheels. Delrin also increases the lock's resistance to wear. It is also used to make frame sliders and knee pucks for motorcycle riders/racers, as well as for slide gloves used when longboarding. Delrin is gaining popularity for the manufacture of diving equipment, due to its light weight and its low porosity to gas under pressure. Some other plastics can absorb gas under pressure, and swell or deform. Delrin has been used increasingly to create body-piercing jewelry, especially tunnels or plugs for use in stretched holes. While viewed by many as relatively safe for daily wear, the safety of this practice is still hotly debated within the piercing community. Delrin is also being commonly used as a substitute for horn in the koiguchi on modern-made Japanese swords. Two companies that made watthour meters also used Delrin components in their cyclometer-type registers for a while. However, Delrin has an unfortunate tendency to deteriorate when exposed to UV (from sunlight) for long periods of time - leading to performance issues in the register and a costly situation for the manufacturers. Supplied in granulated form, POM can be formed into the desired shape by applying heat and pressure. The two most common forming methods employed are injection molding and extrusion. Rotational and blow molding are also possible. Typical applications for injection-molded POM include high performance engineering components (e.g. gear wheels, ski bindings, fasteners, lock systems) and the material is widely used in the automotive and consumer electronics industry. There are special grades that offer higher mechanical toughness, stiffness or low friction/ wear properties. It is commonly used by car manufacturers for many components of automobiles. When supplied as extruded bar or sheet, Delrin may be machined using traditional methods such as turning, milling, drilling etc. These techniques are best employed where production economics do not merit the expense of melt processing. The material is free-cutting, but does require sharp tools with a high clearance angle. The use of soluble cutting lubricant is not necessary, but is recommended. Because the material lacks the rigidity of most metals, care should be taken to use light clamping forces and sufficient support for the workpiece. Machined Delrin can be dimensionally unstable, especially with parts that have large variations in wall thicknesses. It is recommended that such features are ‘designed-out’ e.g. by adding fillets or strengthening ribs. Annealing of pre-machined parts before final finishing is an alternative. A rule-of-thumb is that in general, small components machined in Delrin suffer from less warping. Acetal resins are sensitive to acid hydrolysis and oxidation by such agents as chlorine, for example. Thus low levels of chlorine in potable water supplies can cause stress corrosion cracking to develop, a problem which has been experienced in both the USA and Europe in domestic and commercial water supply systems.